Is the HTC Desire HD going to be a better smartphone than the iPhone 4? If you're looking for an alternative to the iPhone, then you're most likely going to be eyeing off one of the latest Android smartphones. The HTC Desire HD is the newest kid on the block. Check out our HTC Desire HD review. More information on HTC Desire HD Vodafone pricing. Read our definitive iPhone 4 review. Read our original HTC Desire review. HTC has come from relative obscurity to be one of the major smartphone players on the market. Though the Taiwanese company still isn't a household name, an impressive array of smartphones, particularly those running Google's Android platform like the Desire HD, has increased its fortunes. So, how does the HTC Desire HD stack up against the Apple's iPhone 4? The HTC Desire HD is equipped with HTC's updated Sense user interface and offers greater customisation options than the iPhone — whether it's changing themes, backgrounds or the interface's entire look and feel, Google Android is definitely far more flexible and open than the iPhone platform. 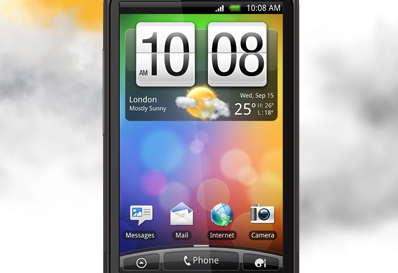 The Desire HD includes the latest version of HTC Sense. The iPhone 4's display uses IPS technology (also used by the iPad), and thanks to its 640x960 pixel resolution it has been described as a "retina" display, with the human eye unable to distinguish individual pixels on the screen. The HTC Desire HD boasts an impressive (and much larger) SLCD display with a resolution of 480x800; its colours are reportedly not as bright or vivid as the AMOLED display used by the original HTC Desire and the Super AMOLED screen of the Samsung Galaxy S, but the sheer size of this display should make it ideal for Web browsing and eBook reading. The HTC Desire HD is larger than the iPhone 4, mainly due to the 4.3in display. The Desire HD is crafted from a single block of aluminium in a similar manner to the HTC Legend — a smartphone that we consider to be one of the best looking ever produced. The iPhone 4's stainless steel band (which also doubles as the phone's antenna) is a classy design touch, and, at just 9.3mm thick, it is one of the world's thinnest smartphones. Both these smartphones are currently only available in one colour — the HTC Desire HD a dark brown and the iPhone 4 a gloss black. Apple will begin shipping a white version of the iPhone 4 later this year. Both the HTC Desire HD and the iPhone 4 can record 720p HD video. The Desire HD gets a boost from its camera — 8 megapixels and a dual LED flash compared to the iPhone 4's 5 megapixels and single LED flash — though we are keen to test both cameras alongside each other when we get our hands on a review unit. We consider the iPhone 4 to be one of the best camera phones on the market, so the Desire HD definitely has a big job on its hands when it comes to imaging. The HTC Desire HD is carved from a single block of aluminium. iPod integration is one of the iPhone 4's outstanding features, but the flexibility of the Android operating system means there are a number of third-party media player applications that will work on the Desire HD. The flexibility of drag-and-drop file transfers is also a real plus for the HTC Desire HD when compared to Apple's reliance on iTunes. The Desire HD has just 1.5GB of internal memory, compared to the iPhone 4's 16GB and 32GB options, but the addition of a microSD card slot for extra storage gives it much more flexibility. In addition to these hardware features, the HTC Desire HD benefits from the latest 2.2 "Froyo" version of Android which adds full Flash support, and built-in wireless tethering. 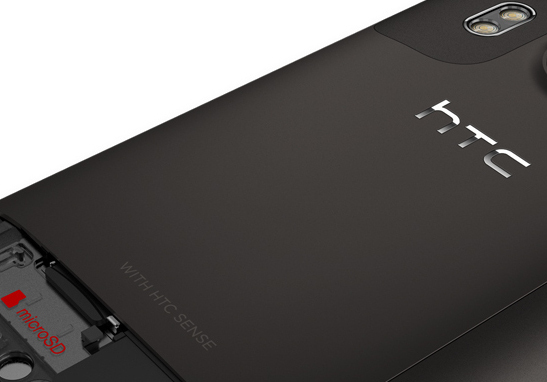 The Desire HD is one of the first HTC smartphones to benefit from the company's new Sense software. Enhancements include a shorter boot up time (10 seconds), faster rendering of maps (along with a digital compass built into the map), and DLNA support for connection to compatible televisions. HTC has also launched HTCSense.com, a set of desktop-based services largely centred on backup and security. 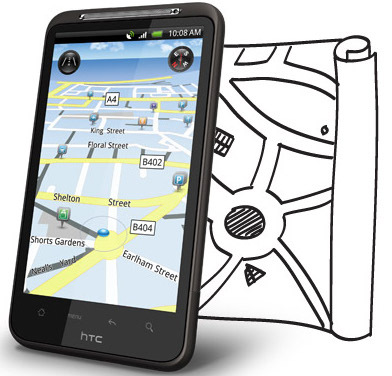 You can locate your phone on a map if it is stolen, remote lock or wipe the handset, and archive contacts, text messages and call history. Unlike Apple's MobileMe service, which requires a yearly subscription, HTCSense.com is completely free. The HTC Desire HD is expected to launch before the end of the year and will be sold in Australia exclusively through Vodafone Hutchison Australia (VHA) — owner of the Vodafone and 3 networks. Pricing is yet to be announced. The iPhone 4 is currently available through all four Australian carriers — Telstra, Optus, VHA (Vodafone and 3) and Virgin Mobile. 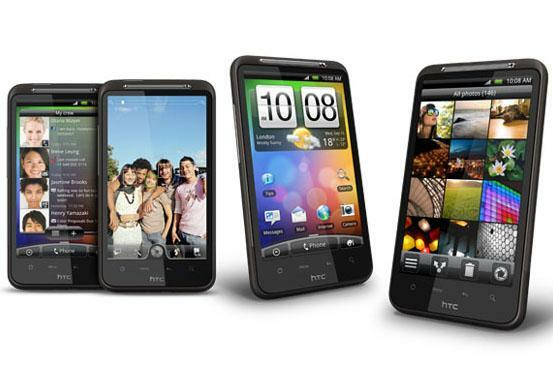 What do you think about the HTC Desire HD and the Apple iPhone 4? Tell us in the comments below!